The print version of Moondance is available for purchase exclusively from this site. The e-book's available more widely. If you buy from me, I take care of you personally! Buy Moondance now. Are you ready? is a question that's asked about Moondance's main character Althea... whose answer takes her on the wild ride that changes her life. 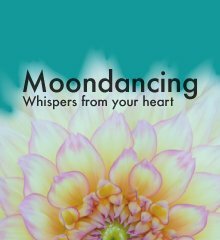 Packed with insightful perspectives on life's most perplexing questions, Moondance is modern and intense, exploring universal themes of soulmates, karma and past life love. It's not only the ideas Moondance explores that make it unique, but how it explores them. Intelligently. At a compulsively readable pace. Moondance is grounded in the real world, while stretching into the unknown. It's written with short, readable chapters that grab you and won't let go. If you like short chapters that fly, keep you riveted and leave you thinking about your own life long after it's over, then Moondance is for you. Do you wonder about reincarnation? About Moondance: is it a time-travel fantasy? Psychological thriller? Romance? Magical realism? Sort of. But not really. Honestly, it may be in a category all it's own. Readers say it's hard to put down and it stays with you long after it's over. What is the meaning of karma and reincarnation? Is there survival after death? What if you could travel back in time and undo the things you regret? What if you could re-claim a past life love you've lost? Moondance is a fast-paced, contemporary tale of spiritual awakening that's part psychological thriller and part allegory. Like The Celestine Prophecy, it takes its main character on a dramatic, roller-coaster ride blending real life and fantasy, soulmates and reincarnation, with profound insights along the way. The story revolves around MBA student Althea Brecht who thought she had life planned out – until an unthinkable betrayal turns her life upside down. At work, she manages to keep it together. But at night, she is immersed in a sensory dream world. Conversations with her long-deceased step-father hint at family secrets. A seductive green-eyed man extends an invitation that both draws her in, and terrifies her. Each day she gets up and goes to work, wondering about her sanity. Taking her life back, Althea abandons her lucrative career as a management consultant. When she meets the mild-mannered Michael Foster with green-eyes like the man her dreams, her inner and outer worlds collide. She’s told that she’s run out of time and that SHE MUST NOW MAKE A CHOICE. She is free to refuse – but if she does, she risks losing everything. WILL ALTHEA CHOOSE TRUE LOVE – OR ILLUSION? If you enjoy a thought-provoking read at a thriller pace, you’ll love Karen M. Black’s deep dive into karmic soulmates, the lies of life, and a hidden world where truth is revealed. Buy Moondance now to join Althea on roller-coaster ride that changes her life – and discover secrets about your own life along the way. We're delighted to share what the indie award community has said about Moondance. Will you like Moondance - or hate it? 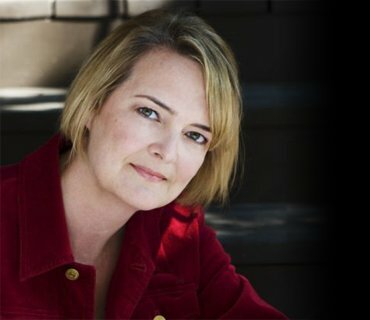 Read this revealing interview with Karen to learn more about the readers who love Moondance, and those that don't. Thanks for reading about Moondance! Books by Karen M. Black Summaries of Karen's two inspirational and empowering books. 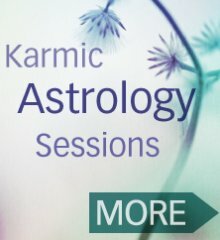 If you want to go deeper into your own awakening journey, consider booking a private karmic astrology session with me.